Thursday, 21 May 2015 – 7pm: In collaboration with the Direct Action Monterey Network, this month’s Theory & Philosophy reading group is highlighting struggles against solitary confinement by featuring the prison writings of Marxist theorist, Antonio Gramsci. For this reading group, we’ll be exploring an excerpts from his Prison Notebooks. Also for this reading group we’ll be discussing Stuart Hall’s article on Gramsci, “Gramsci’s Relevance for the Study of Race and Ethnicity.” You can read it online for free here. On the evening of November 8, 1926, Gramsci was arrested in Rome and, in accordance with a series of “Exceptional Laws” enacted by the fascist-dominated Italian legislature, committed to solitary confinement at the Regina Coeli prison. This began a ten-year odyssey, marked by almost constant physical and psychic pain as a result of a prison experience that culminated, on April 27, 1937, in his death from a cerebral hemorrhage. No doubt the stroke that killed him was but the final outcome of years and years of illnesses that were never properly treated in prison. 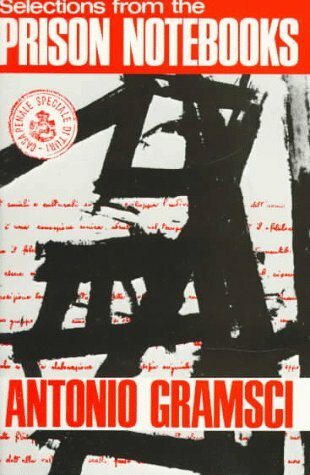 Yet as everyone familiar with the trajectory of Gramsci’s life knows, these prison years were also rich with intellectual achievement, as recorded in the Notebooks he kept in his various cells that eventually saw the light after World War II, and as recorded also in the extraordinary letters he wrote from prison to friends and especially to family members, the most important of whom was not his wife Julka but rather a sister-in-law, Tania Schucht. She was the person most intimately and unceasingly involved in his prison life, since she had resided in Rome for many years and was in a position to provide him not only with a regular exchange of thoughts and feelings in letter form but with articles of clothing and with numerous foods and medicines he sorely needed to survive the grinding daily routine of prison life. Gramsci’s intellectual work in prison did not emerge in the light of day until several years after World War II, when the PC began publishing scattered sections of the Notebooks and some of the approximately 500 letters he wrote from prison. By the 1950s, and then with increasing frequency and intensity, his prison writings attracted interest and critical commentary in a host of countries, not only in the West but in the so-called third world as well. Some of his terminology became household words on the left, the most important of which, and the most complex, is the term “hegemony” as he used it in his writings and applied to the twin task of understanding the reasons underlying both the successes and the failures of socialism on a global scale, and of elaborating a feasible program for the realization of a socialist vision within the really existing conditions that prevailed in the world. Among these conditions were the rise and triumph of fascism and the disarray on the left that had ensued as a result of that triumph. Also extremely pertinent, both theoretically and practically, were such terms and phrases as “organic intellectual,” “national’popular,” and “historical bloc” which, even if not coined by Gramsci, acquired such radically new and original implications in his writing as to constitute effectively new formulations in the realm of political philosophy.